It’s been a couple years since we put together this series about people from Beijing with extraordinary stories and life. 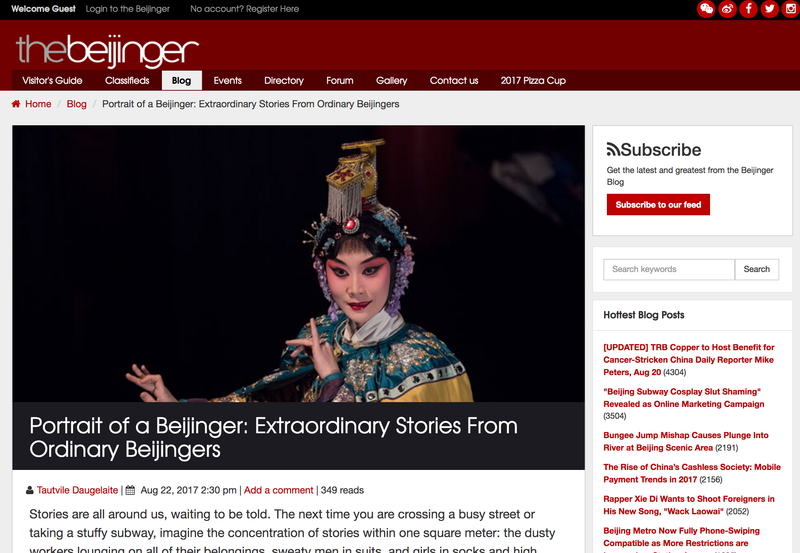 The Beijinger (one of Beijing’s go-to websites for expats and anybody that really wants to know what’s going on in the city) just posted an interview with Tom Fearon, my friend with whom I started the video series. This was a good chance to for me to re-watch the episodes and remember the exciting process around its production.